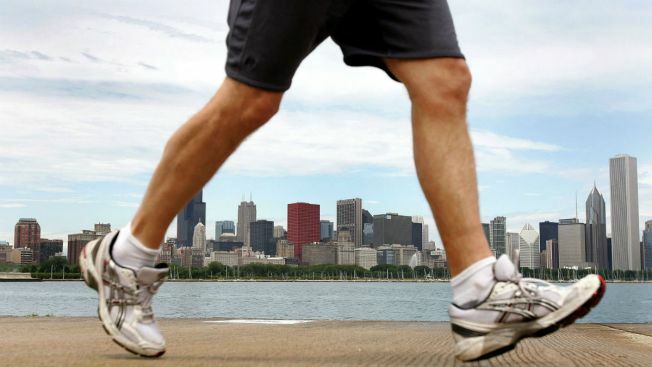 The city of Chicago is working hard to separate pedestrian and bike traffic on the trails along Lake Michigan, and one portion of that construction work is nearing completion, the mayor’s office announced on Sunday night. According to a press release issued by the city, the funding for splitting the trail was provided via a private donation from Kenneth Griffin, the richest man in Illinois according to Forbes’ valuation of the country’s wealthiest people. The section of trail, which will be completed by Memorial Day, is just the beginning in a wide-ranging project. Construction is beginning on separating the trail between Fullerton and North Avenues, and Oak and Ohio Streets. Ultimately, the entire 18-mile trail along the lakefront will be separated, allowing cyclists and pedestrians to use separate trails.